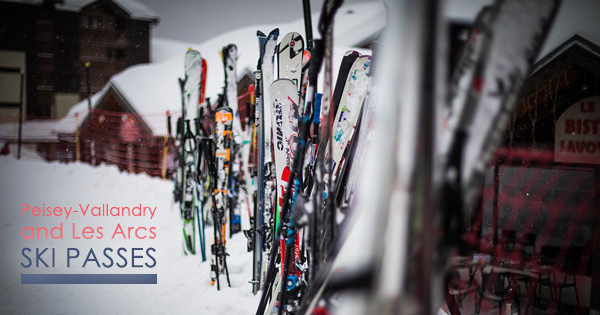 The beauty of skiing in the French Alps is there are many ski resorts to choose from. In particular the Paradiski ski area, in the Tarentaise Valley, has three fantastic ski resorts: Peisey-Vallandry, Les Arcs and La Plagne. With its plentiful 260 pistes covering 425 kilometres, including beginners areas throughout the resort, and ample areas for off-piste and backcountry skiing, Paradiski ski area caters for everyone’s needs. Les Arcs and Peisey-Vallandry ski resorts are well connected to La Plagne, thanks to the Vanoise Express cable car, giving you uninterrupted skiing to enjoy while you’re in the Alps. Les Arcs ski resort is lots of fun for passionate skiers but equally enjoyable for beginners too. The 128 pistes at Les Arcs include 3 green pistes, which are ideal for beginners, 17 black pistes for experts, and 64 blue and 44 red pistes for intermediate skiers and snowboarders. Les Arcs also has a Snowpark made up of three pistes for beginners to experts, and if you want to try some tricks with a soft landing you won’t want to miss the Big Airbag. You can challenge yourself to the Water Slide, a 30 metre run up to cross a 15 metre pool on your skis or snowboard. This can be very entertaining, both for the participant and for onlookers! To get to Les Arcs Snowpark you have a choice of several pistes. Take a look at Les Arcs piste map to get your bearings. Mille8 is a family friendly place to visit while you’re at Les Arcs. Open day and night, Mille8 features several experiences for your apres-ski – you can toboggan, swim, dine, have fun, and relax! The multi-coloured LED lights provide a fun vibe for skiing or snowboarding at night too. Mille8 is located just above Arc 1800 and is accessible from anywhere in Paradiski. View the map and find more information about Mille8. The ski resort of Peisey-Vallandry is conveniently accessible to Les Arcs, and La Plagne via the Vanoise Express, and the resort’s great features range from beginners slopes through to tree skiing and cross-country. The beginners area of Peisey-Vallandry is well equipped for new skiers and can be accessed using the Peisey lift or Vallandry lift. Both lifts can bring skiers back down too so you don’t have to ski all the way to the bottom. If you would like to book lessons, ski lessons can be pre-booked through Whitebeam Chalets and our friendly team can also answer any questions you may have. There is so much fun to be had off-piste skiing through the trees at Peisey-Vallandry as well as on the wide-open red and blue trails. Peisey-Vallandry piste map can be viewed here, and if you enjoy cross-country skiing see the piste map here. There are plenty of ski pass options to choose from to suit your needs with passes for 1-15 days, and passes for the whole season from 16th December 2017 to 28th April 2018 (snow cover permitting). Season passes are worth getting if you’re likely to spend 21 days or more at the ski resort. Les Arcs ski passes give access to both Les Arcs and Peisey-Vallandry ski resorts and when you buy the 3-day pass it also includes one day in La Plagne. This pass is priced at €52 per adult for one day, €159 for three days, and up to €937 for the season*. The Paradiski pass entitles you to access all three ski resorts in Paradiski area and is priced at €60 per adult for one day, €171 for three days, and up to €1025 for the season*. Both passes include: Mille8 (excluding the toboggan run and the aquafun centre), big airbag, boarder cross, waterslide (from March onwards), Snowpark, free video in the snowpark, avalanche park, nordic skiing, speed checks, nature pistes and night skiing. Holders of 6, 7, and 8-day passes can access the Mille8 swimming pool for an extra €12 per person* at the time of purchase. Discounts are available on both full Paradiski, La Plagne or Les Arcs ski passes of 6 days or longer for couples and groups of three or more. Perfect if you often go skiing with your partner, family, or friends. You can save €10 per person for couple/’duo’ ski passes and €15 per person for ‘tribu’ ski passes for three or more adults. The family ski pass packs, available for two adults and two children, are even cheaper as the child rate applies to all family members saving you €53 per adult*. Buying your ski pass at the beginning, or the end, of the season is more affordable too. At the beginning of the season passes can be up to €12 cheaper for one day, and €67 cheaper for seven days*. At the end of the season, 21st – 28th April 2018, passes are just €31.50 for one day and up to €189 for seven days* for Arc 1950 & 2000 area. There is a special day rate of €30* on Saturdays for Les Arcs ski passes. You just need to have a skicard to recharge your ski pass online before midnight on Friday. Another ski pass option is the pay-as-you-go system, Ski à la carte, which gives you permanent discounts on your ski days and you’ll only pay for the days you ski. Either Paradiski or Les Arcs ski passes can be pre-ordered from Whitebeam Chalets. It’s important to have mountain rescue insurance while you’re in the Alps to cover you for any unexpected accidents during your ski holiday. It’s an inexpensive, but highly recommended, addition which can be purchased when you get your pass. Prices start at €2.80 per person per day*. La Plagne ski resort is another great option for beginners and enthusiasts alike with beginners areas throughout the resort (and plenty of easy slopes), a snow park for freestyling, and 134 pistes over 225 kilometres. View La Plagne piste map here and your ski pass for La Plagne will range from €52.00 per adult for one day to €265.00 for 6 days*. Pre-order your ski pass from Whitebeam Chalets and that way it will be ready for you as soon as you arrive at your chalet in Peisey-Vallandry. View the full Paradiski piste map here, or there’s an interactive Paradiski piste map where you can also view live webcam footage of Paradiski ski area to see the current conditions. The area is also a delight to visit in the warmer months – take a look at what’s on offer during summer in the French Alps. *Prices are current at the time of writing.